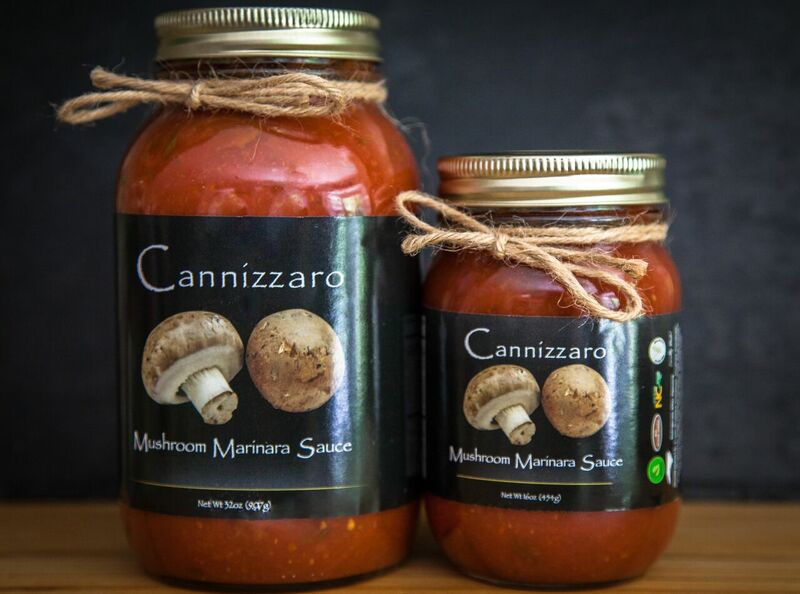 Mushroom Marinara – Fresh & Delicious – just like our Marinara Sauce, our Mushroom Marinara is made and bottled by hand with lots of love and is definitely for those who love mushrooms! Made from Fresh Tomatoes, Herbs and Vegetables, Local whenever available, is naturally gluten free and has no sugar added. Great on pastas, in lasagna, or just with bread for dipping! See our recipes for more great ideas! Ingredients – Fresh Ripe Tomatoes, Crushed Ripe Tomatoes, Fresh Cremini Mushrooms, Fresh Chopped Onions, White Wine, Parmesan Reggiano, Extra Virgin Olive Oil, Tomato Paste, Shredded Fresh Carrots, Fresh Basil, Fresh Oregano, Fresh Garlic, Sea Salt, Fresh Squeezed Lemon Juice.